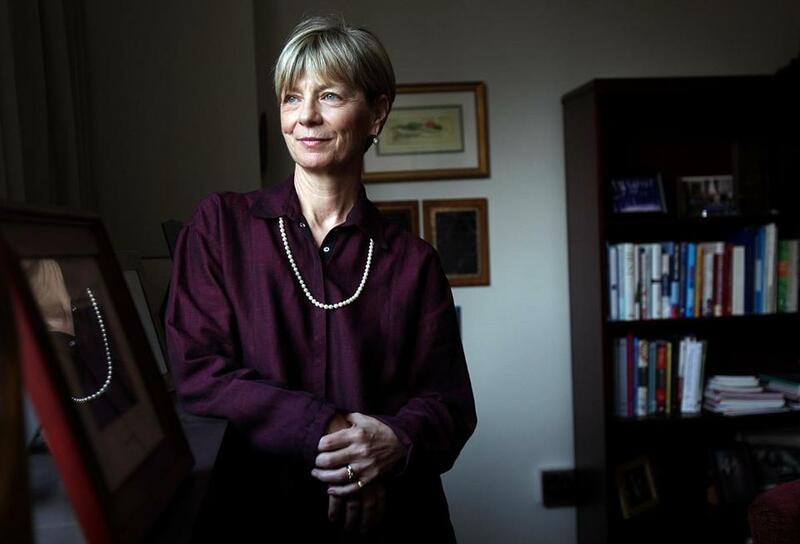 For Marylou Sudders, mental health care and drug costs may be a focus. His proposal, expected to be unveiled this spring, would come almost a year after the House and Senate couldn’t reconcile controversial and drastically different versions of legislation designed to buttress community hospitals and rein in medical spending statewide. That failure to reach a consensus before a July deadline — and potentially reshape the state’s health care landscape — frustrated hospital officials and set the stage for what could be an entirely different debate this time. The Legislature’s primary players are both new, and Baker’s health and human services secretary, Marylou Sudders, is signaling an interest in improving access to mental health care and tackling prescription drug costs — areas that were not the focus last year. “They have a hugely important voice in this. I have a lot of respect for the secretary, and I think that’s going to be a very important piece,” said Representative Jennifer E. Benson of Lunenburg, House chair of the Legislature’s Committee on Health Care Financing. Like her Senate counterpart, Cindy F. Friedman of Arlington, Benson didn’t hold the position when negotiations over the bill faltered last year. “We have a great opportunity with two new people in the House and the Senate to give us fresh eyes looking at all of this,” she said. Legislative leaders say they’re expecting the administration’s proposal by May. But still unclear are the main goals: whether Baker’s bill will seek to primarily control health care costs, improve access to services, or something else. Months after Baker won a resounding reelection victory, the expected legislation is another signal of his willingness to take on thorny policy issues he largely avoided a year ago. In January, he proposed his own overhaul of the state’s school funding formula, inserting himself into another hotly debated and complex topic that was left on the Legislature’s cutting-room floor last summer. In health care, most of Baker’s efforts have been aimed at controlling costs in the state’s Medicaid program, curbing the opioid crisis, and stabilizing the once-troubled Health Connector. His next proposal is likely to begin shaping the State House’s next big policy debate. “The governor has a great knowledge of health care and the complexities, and him putting forward a bill will really set the table as to what the priorities should be,” said Lora Pellegrini, chief executive of the Massachusetts Association of Health Plans, an insurers trade group. Pellegrini worked for Baker when Baker was CEO of Harvard Pilgrim Health Care. “I have every confidence that his bill will really be a cost-containment bill,” Pellegrini said. Several months later, the House passed its own bill that would have required insurers and big hospitals to pay hefty new assessments to aid community hospitals. Both bills included a host of other policies about out-of-network medical bills, hospital facility fees, and telemedicine, for example, which were largely overshadowed by the debate about hospital reimbursements. The separation between the chambers was deep-seated and ultimately unbridgeable. “That [negotiation] could have been in the middle of the term, and the differences were so great, it still would have been a very difficult negotiation to close the gap,” said Representative Ronald Mariano, Democrat of Quincy, the House’s majority leader and its lead negotiator a year ago. Benson said she’s “not married” to relying on assessments to deliver funds for community hospitals. Friedman said she has not settled on an approach, either, though she cautioned that the needs of community hospitals — which often struggle to compete with Boston’s big teaching hospitals — should be addressed. “They play too big of a role in serving the neediest and most vulnerable. We cannot ignore them,” Friedman said. “I just haven’t formed a totally informed opinion on dealing with the price-variation issue. I’ve been the chair for about 15 minutes,” she added. Missing from last year’s debate was the governor, who amid a reelection campaign rarely discussed the House and Senate health care bills publicly. Sudders said the administration is weighing how to support community hospitals but also what she called the “non-technological parts of health care,” including promoting and expanding family medicine, behavioral health services, and geriatric care. Baker is also interested in addressing prescription drug costs. He is already seeking the authority to negotiate lower prices for the state Medicaid program — a plan slammed by pharmaceutical companies — and has proposed a 15 percent tax on prescription opioid sales. Others, though, aren’t so keen on new legislation. Robert Coughlin, the Massachusetts Biotechnology Council’s CEO, is pessimistic about what the legislation will hold for the drug companies he represents. “Given the Baker administration’s recent history of troubling drug-pricing reform proposals that would limit patient access to new drugs and threaten the development of next-generation therapies, I am not confident that their new health care reform bill will be any better,” Coughlin said. Steve Walsh, a former lawmaker who is now chief executive of the Massachusetts Health & Hospital Association, said he hopes the bill helps ensure that community hospitals are paid fairly. His voice and that of the insurers are ones policy makers will undoubtedly hear: These two trade groups finished last year as Beacon Hill’s biggest spenders on lobbying, dropping a combined $2.2 million.